There are numerous Seattle VoIP phone companies which can be an attractive option to Seattleites seeking a solution from a local phone company. There are sometimes advantages to using a company that is local to your office and some people just prefer "going local". However, you should know that most (if not all) of the national providers can also support the 206 and 425 area code phone numbers that are primarily used in the Greater Seattle area. 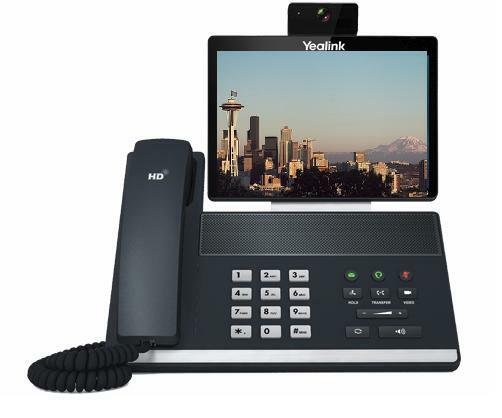 Here is a brief introduction to some VoIP companies located in the Greater Seattle area that serve the residential (home) market and the business market (some may serve both markets and some focus on one or the other). Businesses in the Seattle area have been switching to VoIP technology for their phone systems for two main reasons; the multitude of features that come free with VoIP and the huge cost savings of up to 60% on your phone bills. To help get an idea of the savings for your business use the table on the right to compare some popular companies that support Nationwide service. Located in Redmond, Cabertel differentiates itself by offering a white glove concierge type service to smaller businesses, non-profits and entrepreneurs. Recognizing that most small businesses have limited technical support, this company takes care of everything from managing the install to making ongoing changes to the setup. Formerly called Accessline, this provider has been around a long time and started off providing residential phone service and have grown in the past few years to include a small business service offering. Their residential service is very reasonably priced. Back in 2010 the companies MegaPath, Covad and SpeakEasy joined forces to create the new MegaPath. SpeakEasy was based in Seattle so MegaPath still has offices locally. SpeakEasy were a well established and respected provider in the area. Leading provider of Business Communications. Broadvox helps businesses of all sizes succeed through cloud-based communications, applications, and high-quality broadband connections. Mitel platinum exclusive partner offering a comprehensive suite of solutions for voice, data, cloud and managed services. In business for over 25 years and boasts over 4,000 customers. Provides services in 50 states in addition to being able to support international installations. Located just east of Seattle in Bellevue, Washington. Provides on-premise phone systems based on the Asterisk open source platform that runs on linux servers. Consumers today are driven by price and VoIP is a great example with home owners saving over $500 per year on their home phone bills after making the simple switch over. Check out the residential table on the right for a list of some providers that offer home phone service Nationwide. It is actually pretty hard to find a Seattle phone provider that is physically located in the Greater Seattle area, but here is one service that we found. With a name that many users in Seattle will appreciate, Drizzle provides phone service for home users and for small to medium sized businesses. They also provide internet service, bundled voice/data plans, as well as some other services like web design, web hosting, webmail and accounting that may be of interest to businesses. When it comes to your home phone service though, there really is no reason to require a local service and we highly recommend that you choose from one the providers listed in the table to the right. Many people likely select a double or triple play option from their local cable provider as it bundles in TV, Internet and Phone. Cable companies are very clever at offering you big discounts initially but when these expire, you are going to be looking at a hefty monthly bill for your voice service. We highly recommend skipping the cable company and keeping your home phone separate from your Internet or TV service. One of the benefits of VoIP is that you can choose pretty much any area code you want, regardless of your location. That being said, if you live in Seattle, or if your business is located in or around the city, then you are likely going to want to get a 206 area code for all your phone numbers. The 206 area code is utilized by the following Cities: Seattle, Bainbridge Island, Burien, Des Moines, Shoreline, Mercer Island, SeaTac, Lake Forest Park, Normandy Park, Vashon and Woodway. The next three digits of a phone number are called the central office code and it is those numbers that are specific to a particular city. In contrast to the 206 area code that primarily covers Seattle and a handful of other cities, the 425 area code is the main prefix for 26 cities. These are Ames Lake, Bellevue, Bothell, Brier, Carnation, Duvall, Edmonds, Everett, Fall City, Issaquah, Kenmore, Kirkland, Lake Stevens, Lynnwood, Maple Valley, Mill Creek, Mountlake Terrace, Mukilteo, Newcastle, North Bend, Redmond, Renton, Sammamish, Snoqualmie, Snoqualmie Pass and Woodinville. For more information on this topic please read our in depth article on local phone numbers. While there are a number of Seattle phone companies physically located in the region, having a local option is only really beneficial if you feel the need for on-site installation or support. So if staying local is important to you or your business, then be sure to ask the provider what type of help they will provide. Depending upon the answer, there may not be any difference between selecting a local service in comparison to a geographically remote service. Please use our contact us form to let us know of any providers that should be added to the lists below.